Dave Canterbury is a graduate of WV State College with a degree in Electrical Engineering Technology, and has been in the oil and gas industry for the past 15 years. 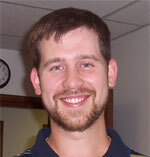 Dave specializes in electronic communication and measurement technology. 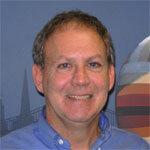 He has been factory trained with several companies, including ABB TotalFlow, Eagle, Nuflo, Implicit, and Freewave. Joe Goff has been with R L Laughlin for four years overseeing daily operations. Prior to joining our company, Joe worked in six sigma process improvement, accounts receivable, and as a service coordinator in the heavy equipment industry. He is a graduate of WV State College with degree in Political Science and University of Charleston with a Masters of Business Administration. Lane has been involved in integration since 1977. He is the former owner of Star Measurement, which was acquired by R L Laughlin in April of 2010. Lane has been married for 29 years and has three grown children. He holds a B.S. in secondary education in the fields of math and physical education. John Stark joined our team November 30, 2015. John is a graduate of Glenville State College with a Bachelor of Science in Business Administration with a Major in Accounting. 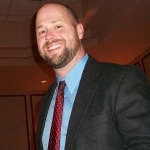 John brings over 18 years of experience in the gas measurement industry. John’s role will be the development of new business for our North Central West Virginia operations.